← You, Guys! ‘Ethnic Halloween’ Season is Here! The President of the University of Louisville was having a lot of fun wearing a sombrero and shaking a pair of maracas, but then he was scolded for his “cultural insensitivity” and was forced to apologize to a bunch of Hispanics. 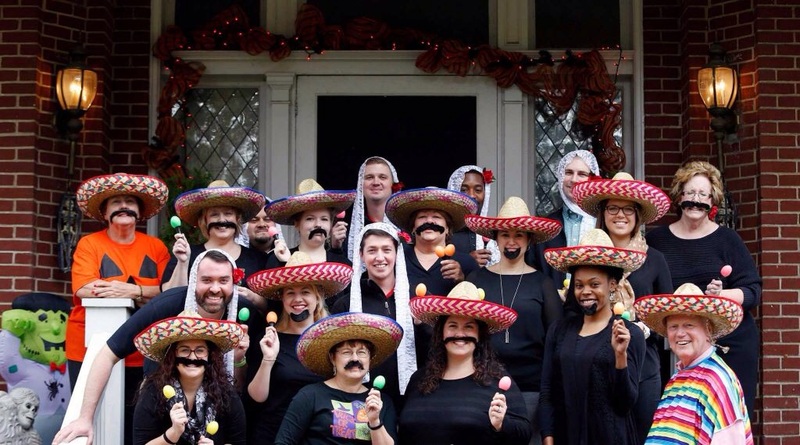 The University of Louisville apologized to the school’s entire Hispanic community Thursday after a photo surfaced showing President James Ramsey among a group of staffers at a Halloween party dressed in matching stereotypical Mexican costumes. I will never understand why these people should apologize to anybody or why Hispanics (and other non-Mexicans) should be appalled and/or offended over these incidents. Personally, I feel terrible for these fellows. I mean, how else are you going to have fun when you live in Kentucky? This entry was posted in Awkard homages, Cinco de Mayo, Education, Mexico and tagged Bigotes, Halloween, maracas, Mexican costumes, sombreros. Bookmark the permalink.